The NEWS you have all been waiting for!!! Avatar Faces new website, Avatar Friends Club, is up and running. A social website for avatars. Now there is a place to go to where you can meet people from all the wirtual websites. Meet people with your own interests, any age group, any roleplay. Make friends with people on sims you did not even know existed. 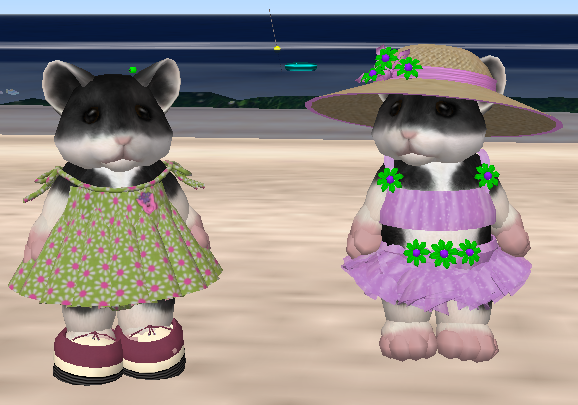 Then, invite your new friends to meet you in Secondlife, InWorldZ, or any other virtual world. It might be great fun to visit a new virtual world if you have a friend there to show you around. We have tried to put as many features into the site as we could. This would include live chat, post a blog, submit articles, favorite videos, music or even tell everyone a story. We can also post news articles, or business ads for you. All of this and meet new friends too!!!! Because this is a new website, we need support from new members. Please check out Avatar Friends Club. When you signup, use coupon number AF222. This is a free 30 day Premium Membership, which gives you use of all the features. If you have never been in a virtual world, this is your chance to try it out and have a friend give you a tour. Come on!!!! Be adventurous!!!! Don’t you just love a sunset? Of course a sunrise works well also. But, whether it is sunrise, sunset, or noon, it is still nice to just sit there on the beach, listen to the sound of the surf and your favorite music, thinking of absolutely nothing at all. Just loving it. I live right near the beach, so I am rather fortunate. Watching a sunset can be a nice way to relax. You should give it a try. It doesn’t cost anything. FREE is a pretty good deal. This is Yole, writing for Rocky Greymyst who is traveling on business. Have a great day!! Then there is the sad part. The person who could be your very best lifetime friend, or lover, lives 1,000 miles away and you will never know they are alive. I guess one of the best things to happen is having dating websites. At least you have an opportunity to meet people, although, that does not guarantee that the people you meet online are being truthful about themselves. I suppose that is also true in everyday life. Finding new friends in a virtual world, like Secondlife, or InWorldZ, is a little easier. At least there are alternatives to dealing with unwanted advances by people. You can mute them, ban them, or you can just teleport away. One thing that does not change is the problem of meeting people that are right for you. These virtual worlds are comparatively just as large as the earth. There is sims that are dedicated to a particular city, or country. One terrific thing about virtual worlds is that you can obtain language translators for text that can be set to translate between as many as 57 languages. You could communicate using English to French, Spanish to German, or any combination. Just type in your text and the person on the other end receives your message in their language, and when they reply, their message automatically translates to your language. Pretty cool. huh? I have some news for you. We are about to start running a avatar dating website which will be up and running this week. Of course, you would not have to be looking for a date. This site will help people to meet and make friends all over Secondlife and InWorldZ. I will post more information about the site later this week. I think it will be great fun for everyone finding new friends. Ohh! I forgot!!! This is Yole, writing for Rocky Greymyst while he travels on business. The picture is me in Secondlife. Gotta go now. Big hug and see you online. Have you ever been to a virtual dance club? When is the last time you went out dancing in real life? In the picture above, I am on the lsft and my friend Lyly, a Secondlife supermodel, is on the right. We are dancing at the Tropicana Dance Club in Secondlife. It is a latin club where I go to dance salsa and lambada. Of course there are al sorts of other clubs with different music. If you have never been to a virtual world, you simply must try it. It is a great way to do something totally different and fun. Joining is free and you can shop till you drop looking for clothes for your avatar. There are hundreds of free outfits to choose from. Then go out and get a skin that matches your tone and top it off with a great hairdo. Now you are ready to go dancing. Be prepared to meet interesting people from all over the world. For about one dollar you can get a language translator that works both ways. Just type your text and it translates. What? You are not a good dancer? It does not matter. Every dance club has animations you can use. You will be absolutely amazed and astounded at how wonderful the dance movements are. You will look great!!!! If you want to go one step further, get your real life face sculpted and put it on your avatar. This is Yole again, writing for Rocky Greymyst, who is away on business. This is a picture of Lyly, a verygood friend of mine in Secondlife for a long time. She is from El Salvador, but lives in Virginia, USA now. Lyly has trained for modeling in Secondlife at one of the best schools and has her masters. She has attained the status of Supermodel. Have you ever wanted to be a model? Most of us just simply do not have the body for it in real life. Many of us look great, but not quite good enough to be professional. Fortunately, this is not enough to stop us from being a model and looking absolutely fabulous. If you join Secondlife, which is free, you can turn yourself into a supermodel too. If you have never been in a virtual world this might seem a little hard to imagine. Nevertheless, if you want to have some real fun, give it a try. You can always get in touch with Lyly, or me to get advise. If you really want to get into your model avatar, you can have Rocky sculpt your real life face and apply it to your avatar. Is that cool, or what??!! Going shopping and trying on dozens of outfits is always fun, except when you have to pay for them. Ouch!!! Don’t you just hate hanging something back on the rack and going home without it? How would you like to have a movie star wardrobe for about $20? Really!! If you go to a virtual reality website like Secondlife, or InWorldZ, you can have your own avatar and go out on a shopping spree that will keep you busy for weeks and never go out the door. This could be lots more fun than dragging the kids through the stores. There are thousands of free outfits to buy and if you like something that costs real money, it might be as little as 25 cents. Then, when you find some great outfits, go to a club and dance to some rock & roll, or salsa. You would not believe the great dance animations for avatars. The moves are fantastic!! The next thing you might want to do on your virtual excursion, is to make your avatar look like you. How cool is that? Get your real face sculpted and applied to your avatar, make your body the way you like it and you are now living in virtual reality.